The evolving media habits with newer digital options have seen the streaming phenomenon overtake the video viewing on smartphones with at least 15 percent of the Millennials watching TV/Video on Smartphones everyday. 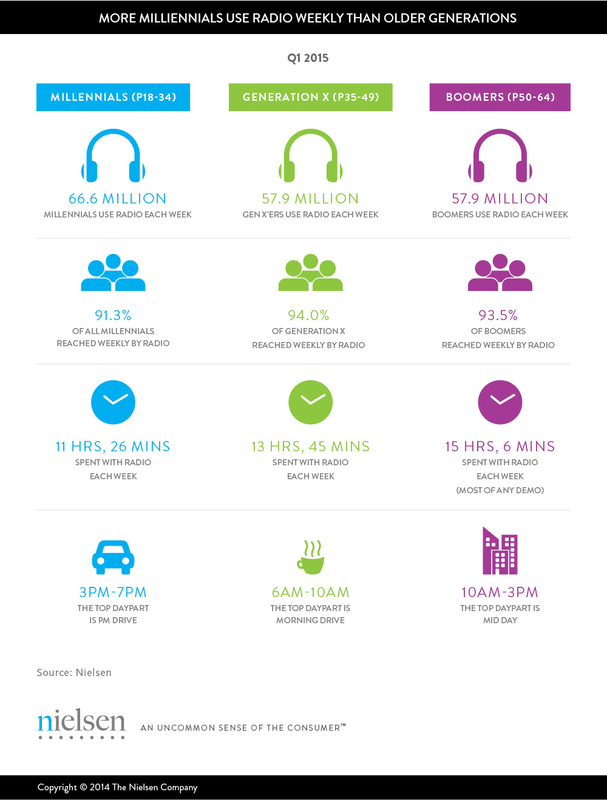 To understand media reach across different demographics here are Media Charts from Nielsen that help you understand Audience reached with different Media. 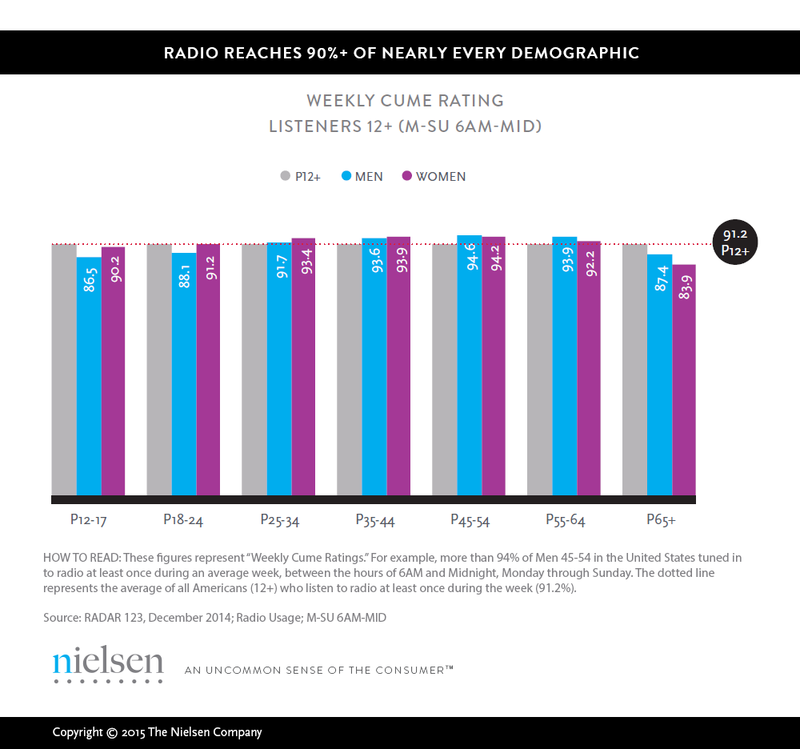 90 percent of Any Demographic in the US can be reached on Radio. 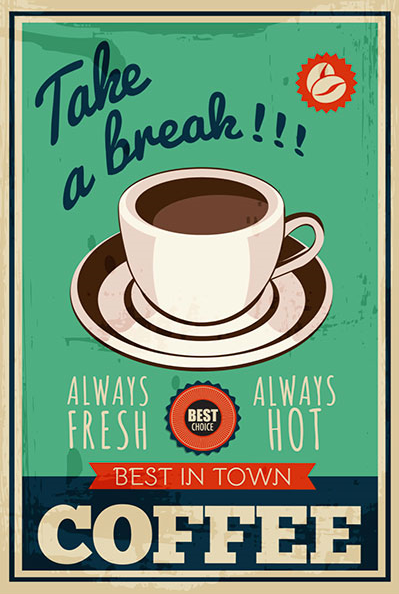 Millennials are the Largest audience on Radio and tune-in in the evening with 3pm-7pm being the Top Daypart. 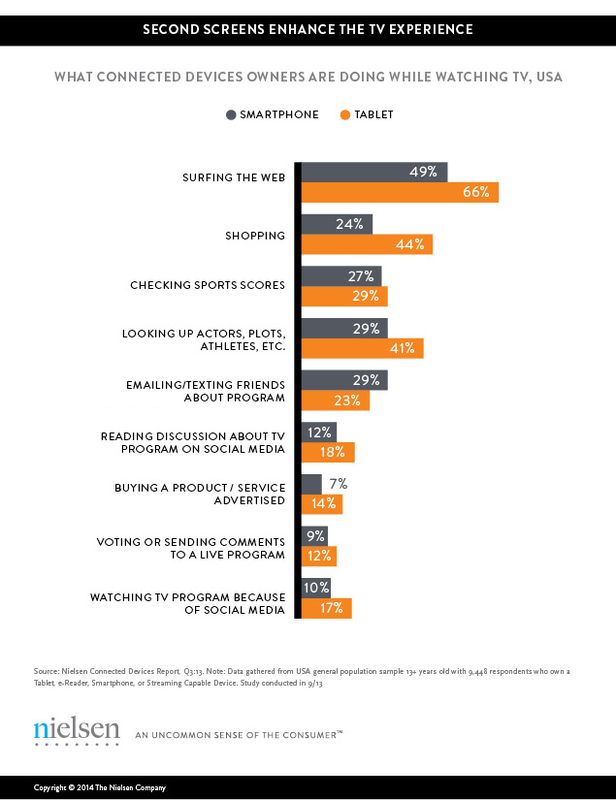 Tablets are preferred the connected device while watching TV for browsing and connecting with Social Media, except for buying products online, where Smartphones are the preferred device. 41 percent of U.S. homes had access to an SVOD service in fourth-quarter 2014. SVOD Households have highest device ownership across platforms including Game Consoles and Tablets. 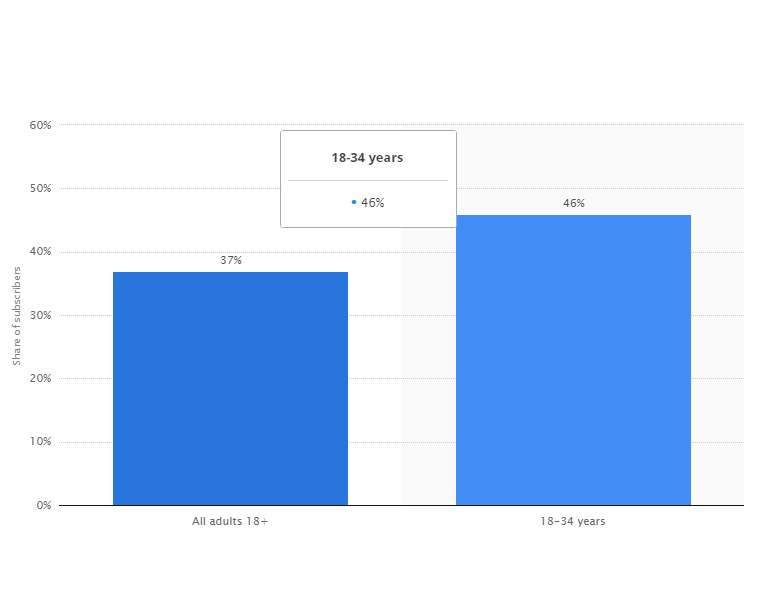 Millennials make for 45 percent of Share of Subscribers for SVOD (Streaming Video On Demand). 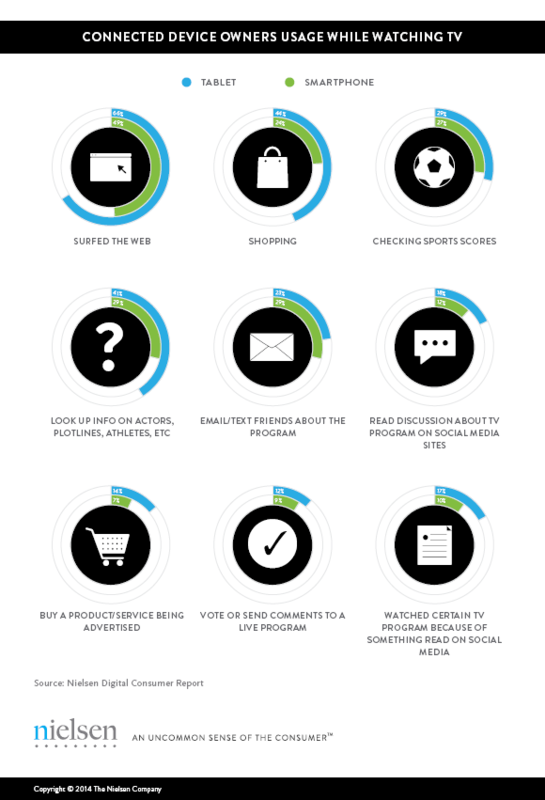 Nielsen TV Brand Effect research has also shown that ads perform better on memorability in TV programs with high program engagement. Posted in Media, Rich Media. Tagged Audience Management, media.